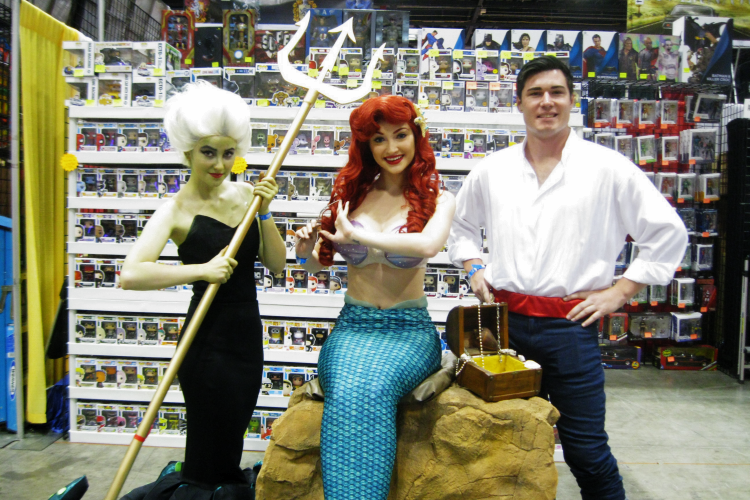 MegaCon Orlando is one of the biggest pop culture conventions in the U.S. Growing stronger every year, the event draws over 100,000 fans from all over to the Orange County Convention Center in Florida for an epic weekend comics, gaming, sci-fi, and anime. Its location is the second biggest conference site in the U.S. next to McCormick Place in Chicago with miles of large auditoriums and showrooms the size of airplane hangars. Over the course of four days, attendees enjoy panels, photo ops, autographs, workshops, and a marketplace stocked with retailers, charities, and artists. Armed with a shiny press badge, I was so proud and happy to cover the event. Thankfully, I've been to this site before with FanFest starring The Walking Dead so attending the convention wasn't too daunting. But there was so much to see and do in so little time. 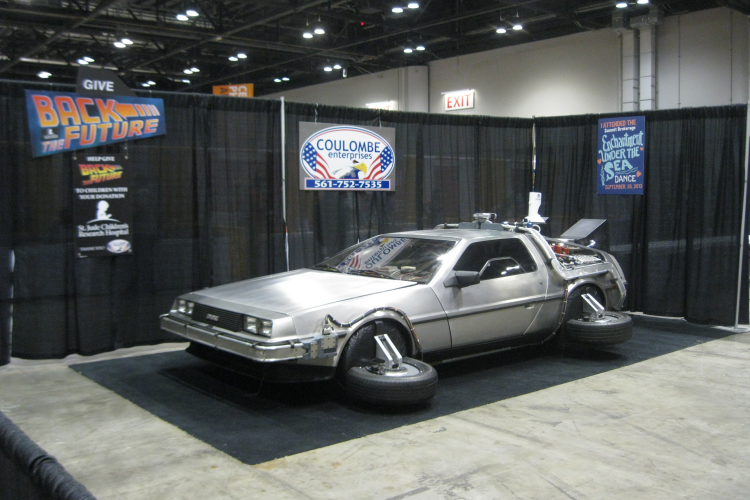 One of the biggest attractions at MegaCon is the marketplace, which is over 400,000 square feet. Divided into sections for 500+plus vendors for independent artists and comic book authors, autograph signings, photo-ops, tattoo parlor, and charities raising awareness for good causes, it's the perfect place to get your bearings. Lined with red carpets, cosplayers strut their hard work around the room and strike a pose for inquiring photographers and fans. 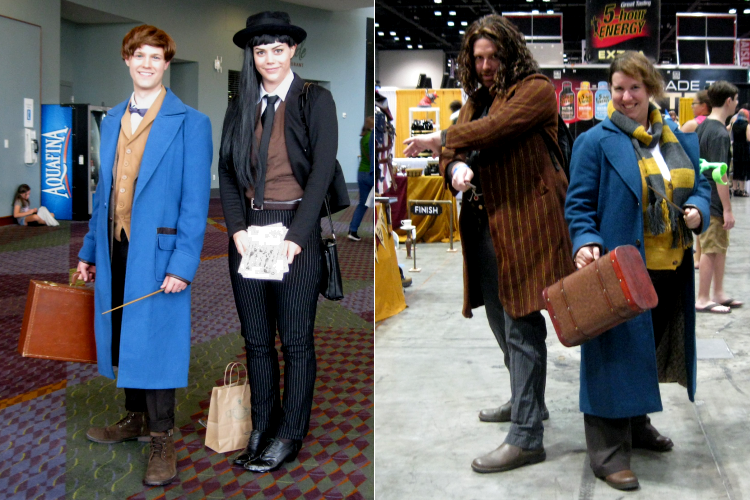 Conventions garner a lot of passionate buzz and infectious energy from the cosplayers who wear their love of inspired characters and fans wanting to share in a good time. I thought they were a perfect place to start with the first part of my experience. This is a collection of the amazing cosplayers who were kind enough to stop for a photo opportunity over the course of the weekend. Hope you enjoy! Newt Scamander with Credence Barebone, who handed me a pamphlet from New Salem Philanthropic Society. 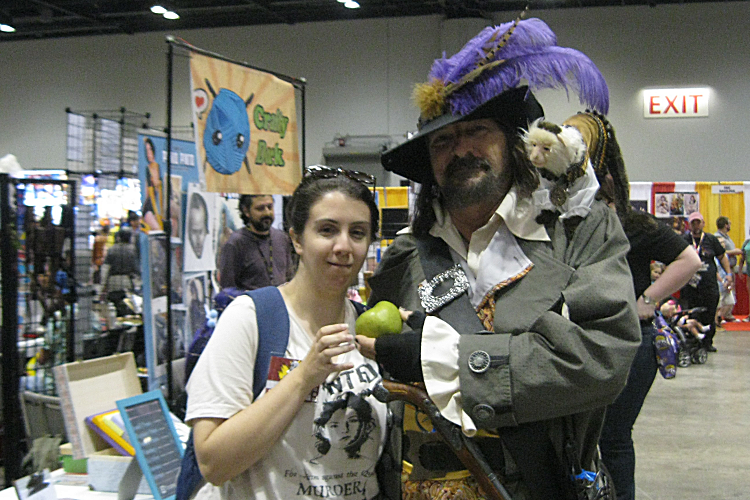 Another Newt with his good pal Pickett was hanging out Sirius Black. 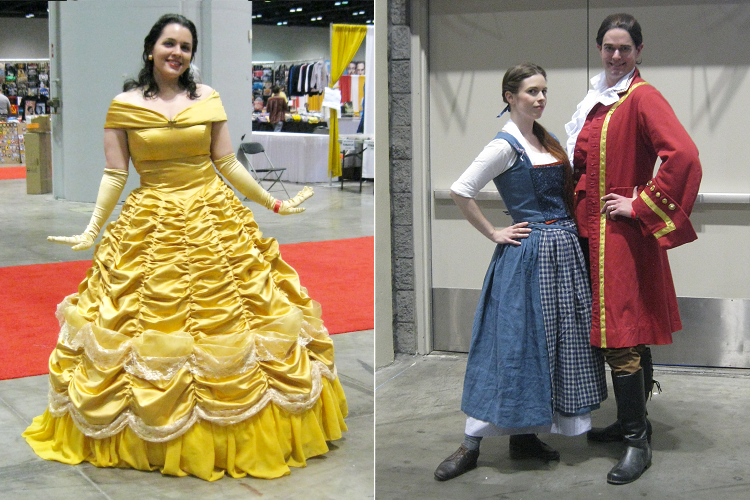 Classic Belle and new Belle with her faux-beau Gaston. nor enjoy the flesh of the apple. Conventions bring people together. 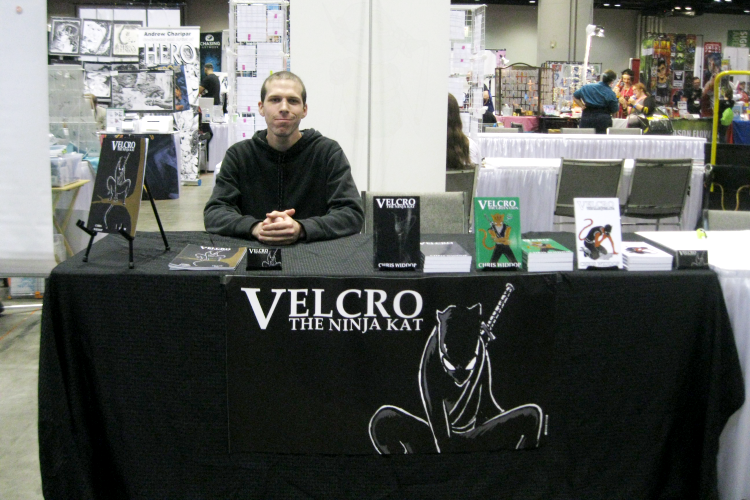 After five years of blogging and tweeting each other, I finally met Chris at Artists Alley, author of one of my favorites this year Velcro: The Ninja Kat. 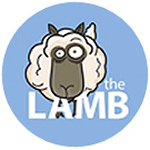 In the Community Zone, organizations fundraise and offer awareness for important causes. Doc's Interactive Delorean Time Travel Experience invites fans to travel to Hill Valley 1955 with professional actors impersonating Doc, Marty or Biff. A portion of their proceeds benefits St. Jude's Children's Hospital. Want to become the Doctor? 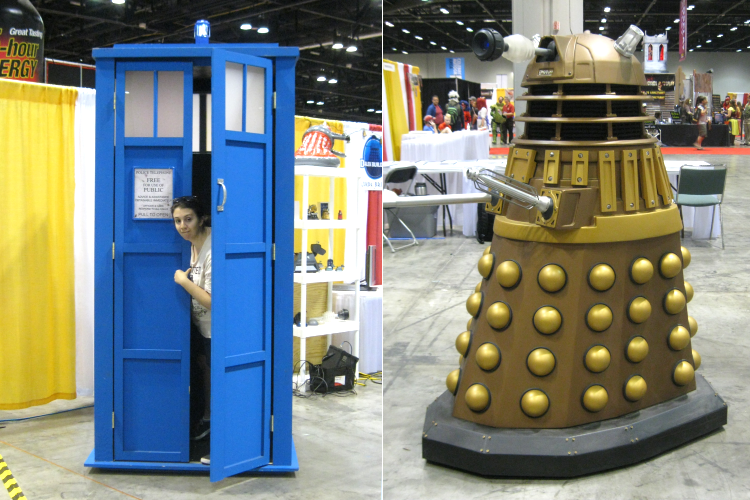 Dalek Builders offer support both in person at events and online for Doctor Who fans who want to create their own life-size Dalek. Me? I want that Tardis. Ellis Belle Cosplay Julie Douberly as General Leia. 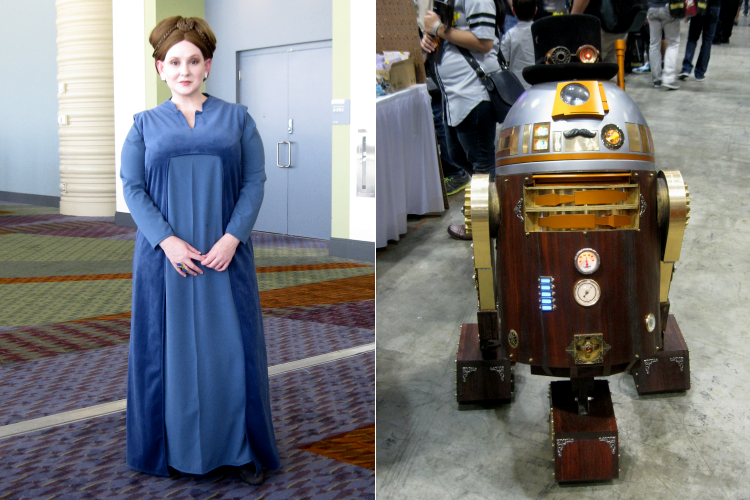 And Steampunk R2D2. Prince Eric rolling Ariel along on her rock as Ursula trailed behind. 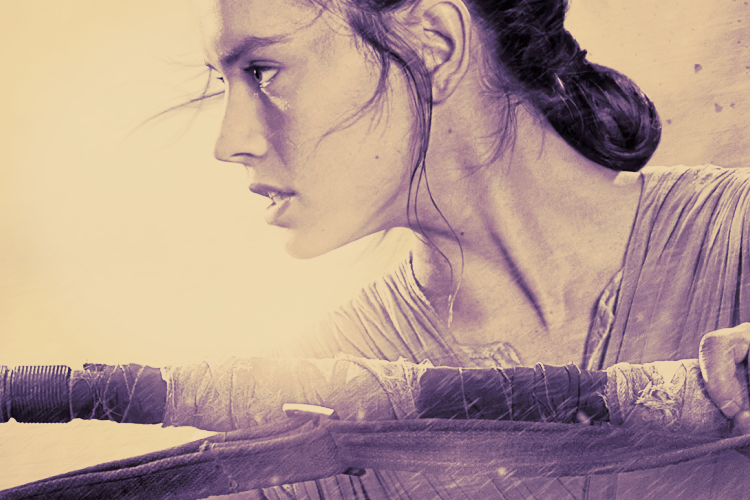 This is part one of my coverage for Mega Con. Though I had planned to attend the entire weekend, I was unexpectedly hit with a personal family emergency, which cut my trip short by about two days. Some of my dreams to see Felicia Day and Meat Loaf in person couldn't come to fruition, but I had a blast and plan on going next year either as press or an attendee. In the next few posts, I'll be sharing videos and photos from panels with the legendary Stan Lee, Star Trek's Brent Spiner and the Rocky Horror Picture Show, and Tom Wilson from Back to the Future. Stay tuned! 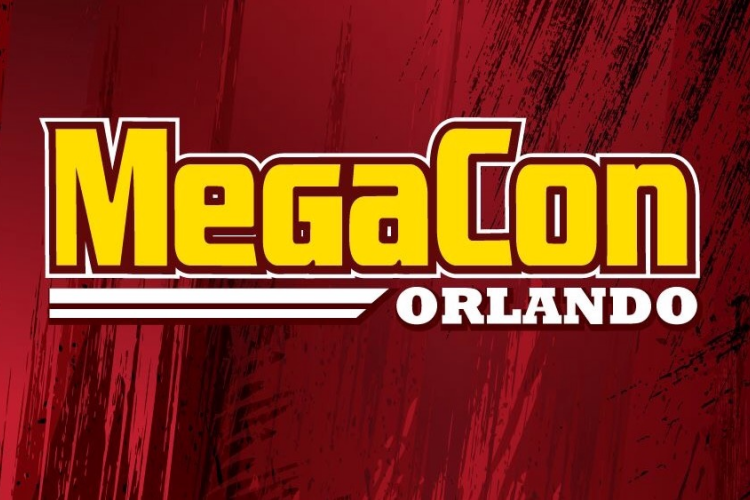 Have you attended MegaCon? Which cosplayers are your faves?